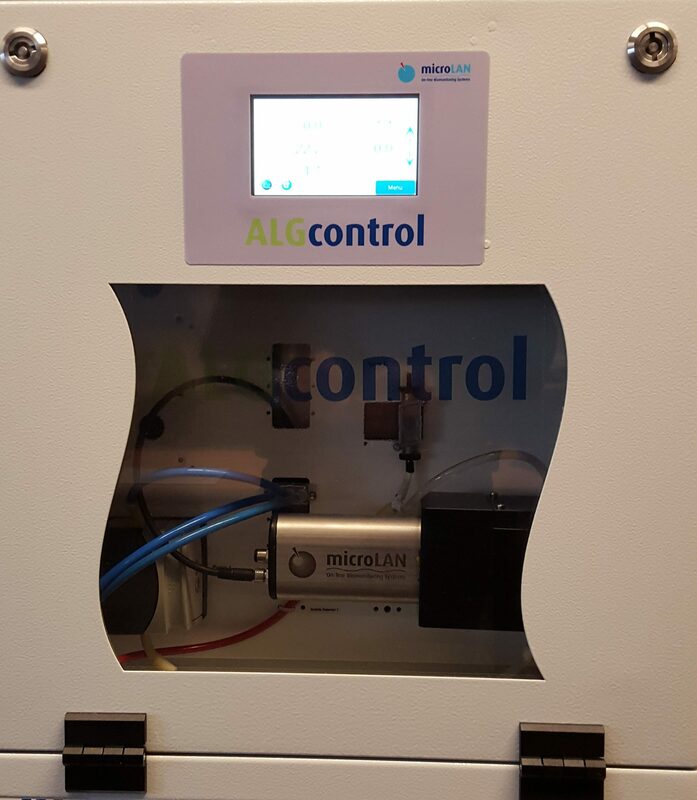 The ALGcontrol continuously measures the chlorophyll fluorescence of different algae classes in real time. 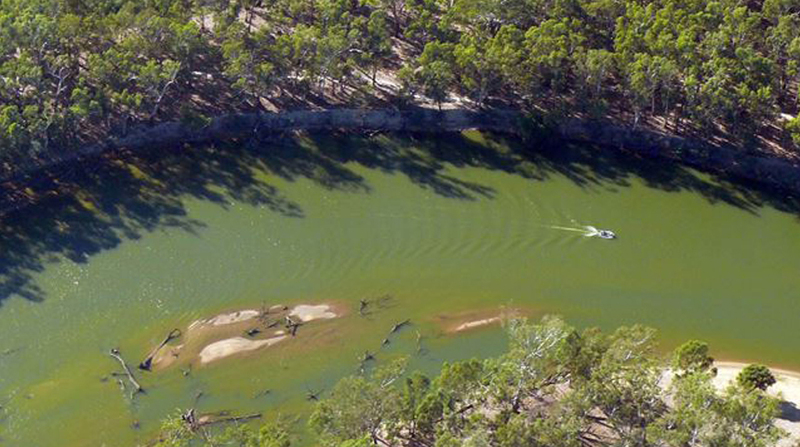 Compared to time-consuming sample preparations and counting by microscope, the on-line fluorescence monitoring provides quick determination of the chlorophyll content in for example lakes, rivers and reservoirs. The ALGcontrol makes use of fluorescence excitation. This means that when chlorophyll molecules absorb light, a fraction of the energy absorbed is remitted as fluorescence. Due to the fact that algae of the same class contains a similar quantity and quality of pigments, their fluorescence excitation spectrum (with a fixed emission wavelength at 680nm) is significant. Thus, it is possible to differentiate classes of algae by their fluorescence excitation spectrum. Other fluorescing matter (for example, DOM = dissolved organic matters measured with the 365nm wavelength and turbidity, measured with the 710nm wavelength) are detected to enhance the accuracy of the ALGcontrol. The ALGcontrol can also be integrated into the TOXcontrol to have algae and toxicity monitoring in one sample.